WordPress CMS can work on your computer. 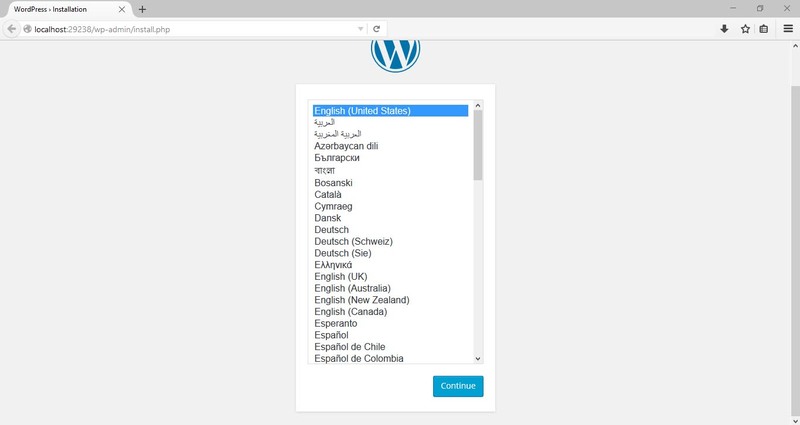 One of the main reasons for this is that in this way you can test WordPress before placing it on the server, or you can do the programming (creating themes, plugins…) and creation in WordPress without investment (FREE) in hosting, domain and accompanying services. 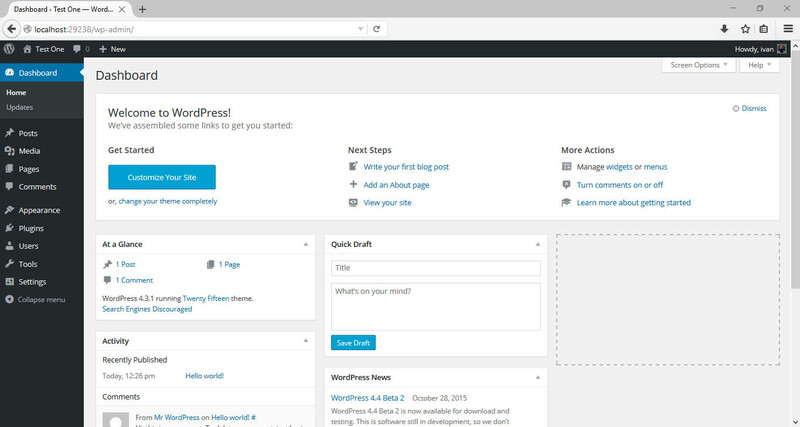 WordPress installed in this way will be fully functional and behave like any other site. To save space and time, WordPress, hereafter in this text we’ll call WP. The difference between WP installed on the server and WP installed on your computer? In essence, there is no difference. When you install WP on a server (a regular website) is stored on a server that you rented (or bought). 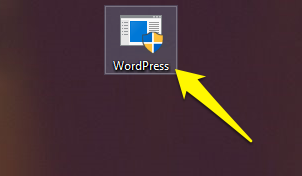 When you install WordPress on your computer it is on your computer. The key thing is the address. Localhost, in this case, is your computer. 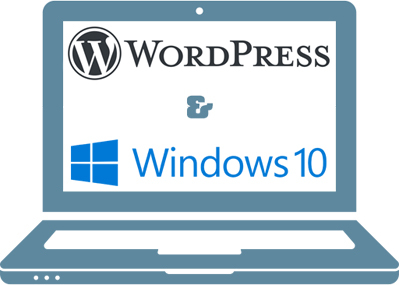 WP on Windows 10 operating system can be installed easily. The whole process is automated and all the dependencies are downloaded automatically. This guide (step by step with pictures) explains the whole installation process without any action on the editing the site, themes, and extensions. 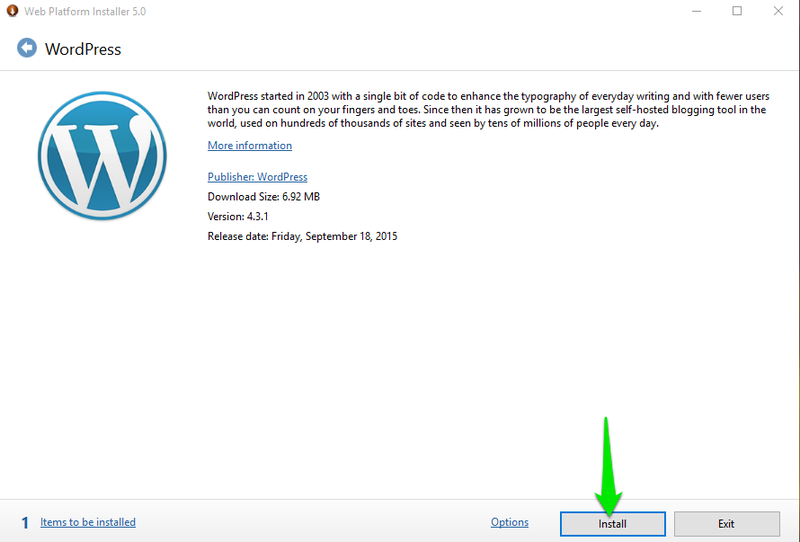 Click on the button Install WordPress. Save the package that will be offered. Click twice on the package that you just downloaded. Here you can select the database (if you are already on your computer). 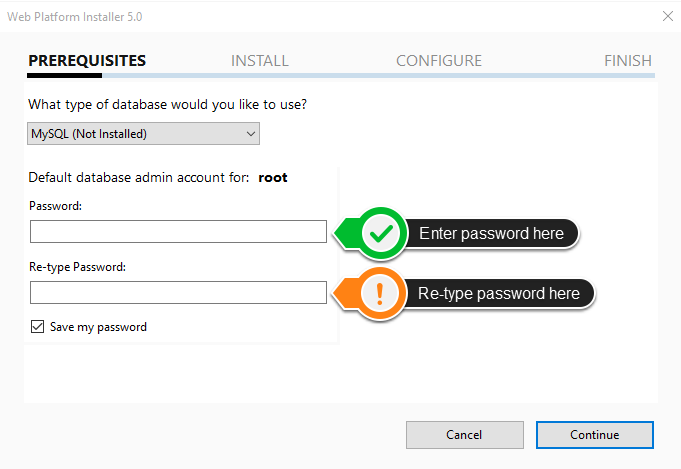 If the computer does not have a database installed, leave the default option on What type of database would you like to use? field (It will automatically install MySQL). Enter the new password, re-type and remember your password (or write it down somewhere)! 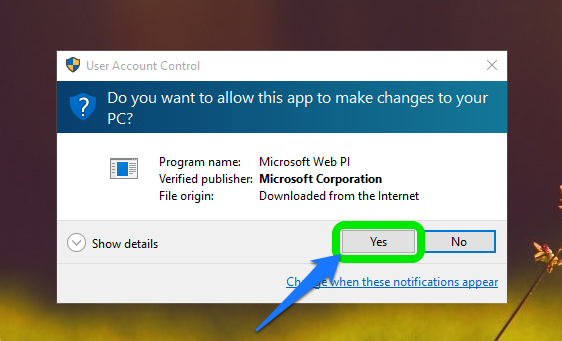 Here you will be shown what the application has to be installed. Check the box to agree to the terms (if you agree) and click I Accept to to continue. 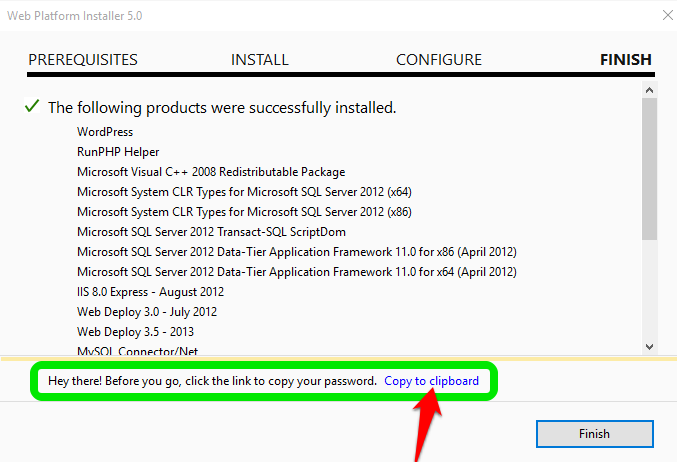 The application will install all required dependencies automatically. It may take several minutes depending on the speed of your internet. 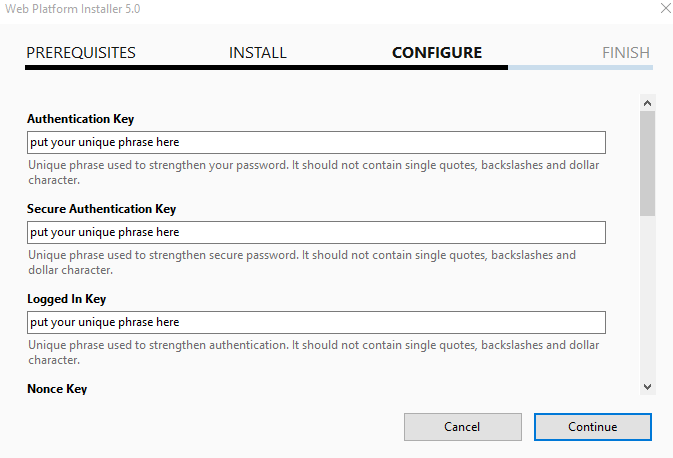 In each of these fields, enter a unique phrase that will ensure the strength of your protection with authentication. Do not use single quotes, backlashes and dollar character. When you finish, click on Continue. 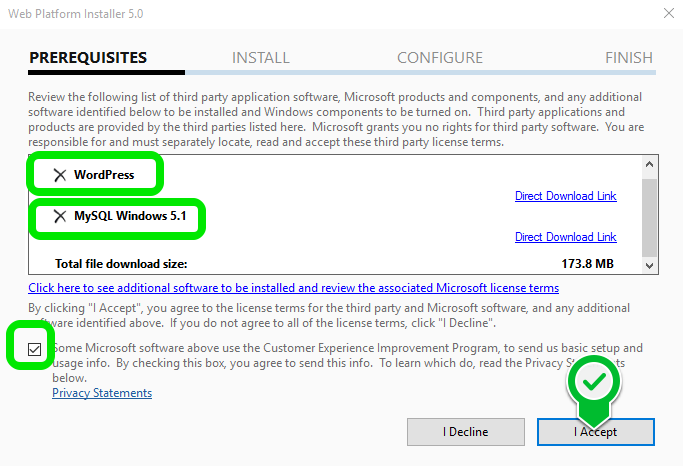 Here you can see applications that are installed. 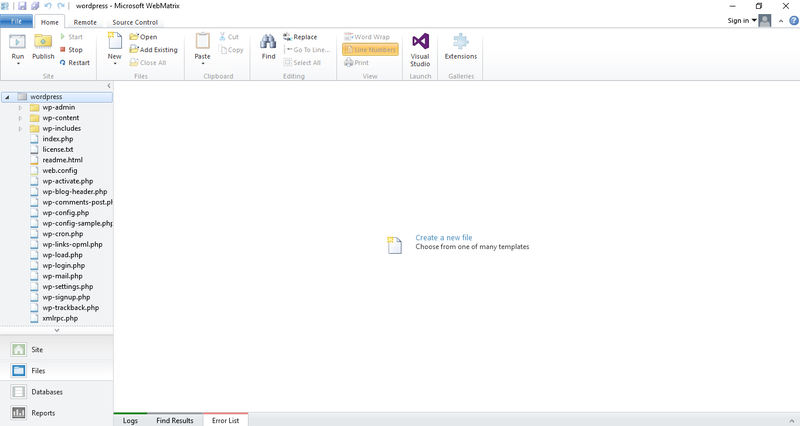 To copy data about the database click on Copy to clipboard. Open Notepad and paste it. Save the text document somewhere. Click on Finish. 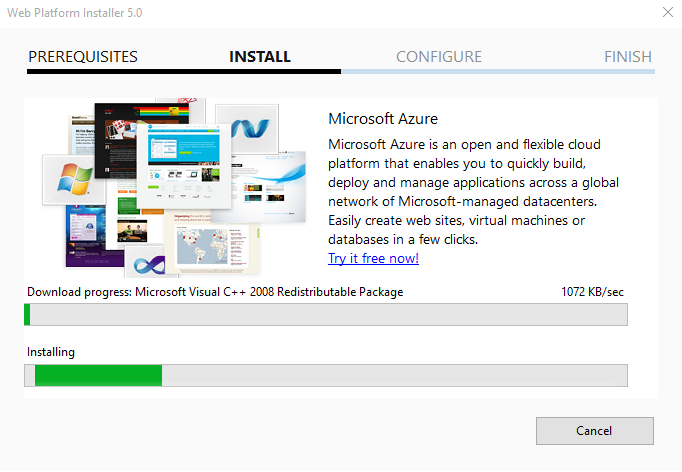 The installation process will launch your browser to be the complete installation of WP. It looks just like the picture below. Approved language and click on Continue. Enter the title of the site (may be changed later). Enter the name of the administrator, it is necessary for login to WP (double check and write somewhere aside). Enter a password for the administrator (double check and write somewhere aside). Enter an email address for the administrator (also double check). Click on the Install WordPress to finish everything we started. 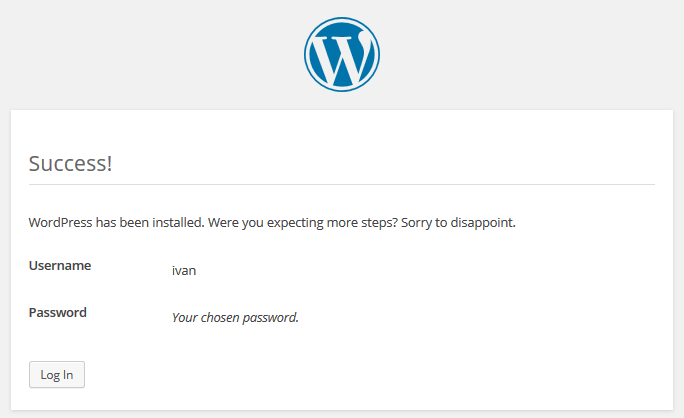 If you see a message like on the picture below that means you have successfully installed WordPress. Click on the Log In to log in into WP dashboard. 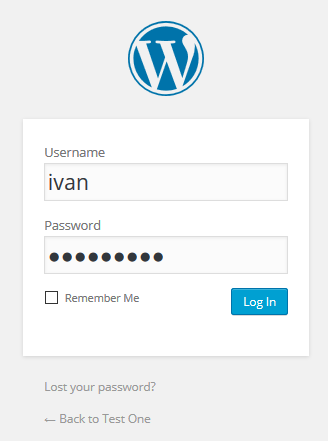 When you click on the Log In (picture above) you’ll see a login form on the WordPress dashboard. 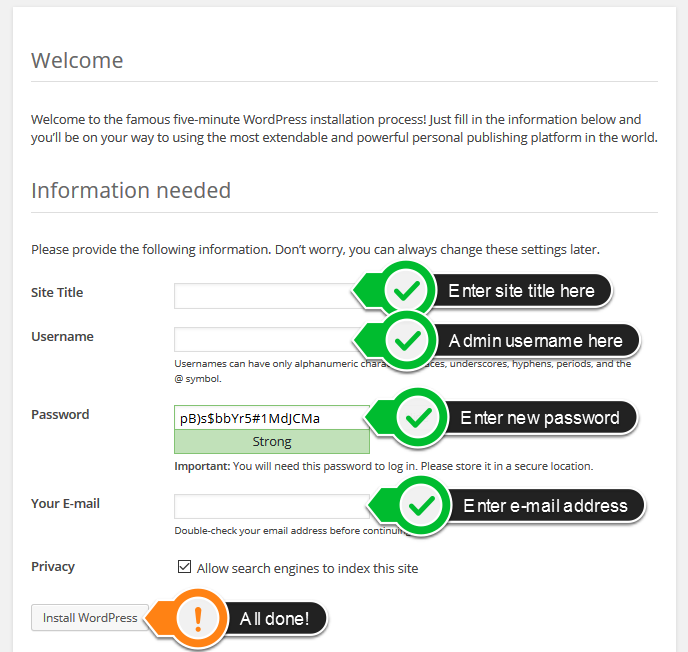 Enter the information you specified (username and password) in step 9 to login to the WP Dashboard. Every time you want to start WordPress, first you have to start a Microsoft WebMatrix. This is a program installed in the process that is described in this text. So first start a program Microsoft WebMatrix, and then Reload the address locally-installed WordPress.